Luwasa specialises in indoor plant hire. We at Luwasa Indoor Plant Hire Melbourne strive to improve the quality of our services that we provide to our customers. One of our efforts is that we have introduced The Seramis Planting System for all our plant hire services. This new innovation in modern planting we believe will revolutionize the plant hire industry and we are proud to be one of the first to initiate this system into our services. 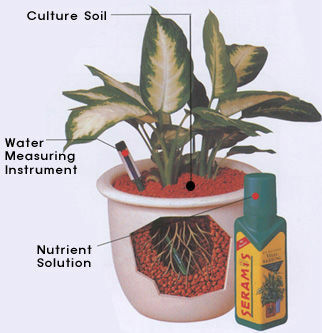 The Seramis Planting System is currently being used globally in significant and prominent corporate buildings, hotels and shopping centres such as JW Marriot Hotels, Changi International Airport, Westin Hotels, Ritz-Carlton Hotels, Renaissance Hotels and many other 5 star hotels globally.